Architectural Products. Architectural Record’s annual best-products competition received more than 320 entries this year. As you’ll see on the pages ahead, our independent jury of designers selected 67 winners, with the Best in Category receiving top numerical rankings. RECORD editors also examined the winners to highlight additional favorites, which received the Editor’s Choice designation. Leaf through the results to find the latest and most innovative building products. Nathan Allan Glass Stair Treads and Glass Flooring, are two very unique products in today’s Architectural Glass Industry. Produced specifically to be walked on, Glass Stair Treads Glass Flooring incorporate Nathan Allan’s exclusive “Glass Sandpaper” safety finish. To illustrate, authentic glass particles are melted onto the walking surface, to create a slip-resistant surface. As such, not only are these glass particles durable and effective, they are nearly invisible. 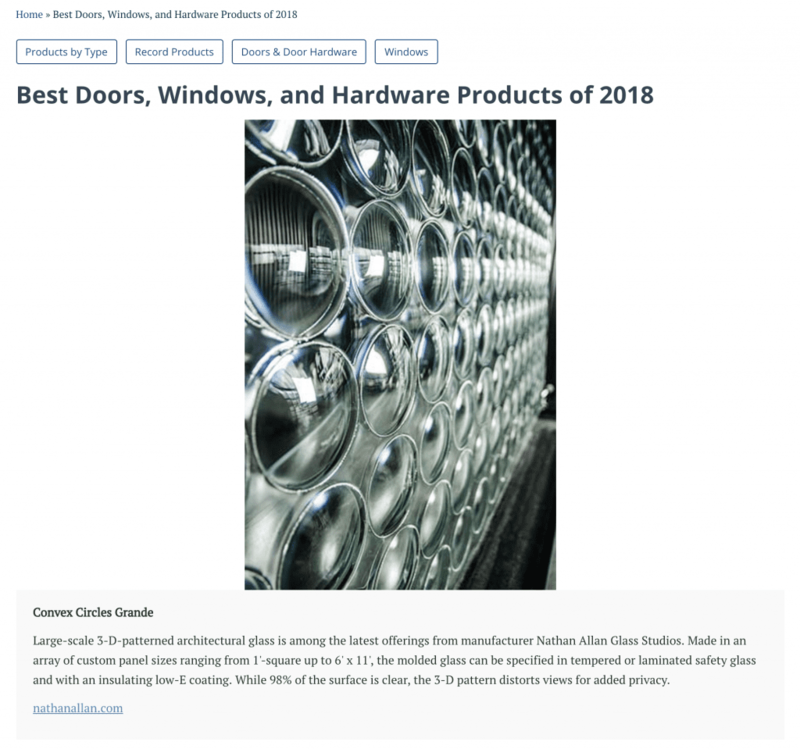 Nathan Allan’s Glass Sandpaper has the highest ASTM slip-co ratings in our industry. As a result, our Glass Treads can be used in both wet and dry conditions. Therefore, this allows for our Glass Treads and Glass Flooring to be installed outdoors as well.